At USAP, we pride ourselves on delivering the highest quality anesthesia patient care in the nation. Our industry-leading providers, clinical quality committees, local clinical governance boards and proprietary IT tools enable advanced data capture, analytics and continuous improvement in all aspects of our practice. 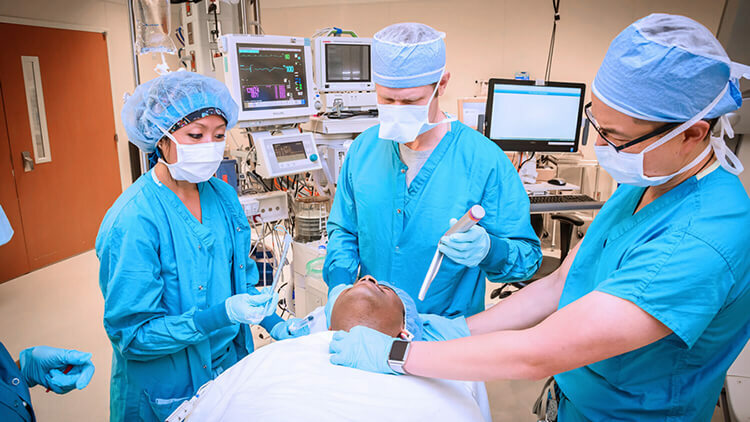 Our innovative ideas and measurement capabilities raise the bar for the entire industry and shape the future of anesthesia as we know it. As a physician anesthesiologist at USAP, I get my data. I can see how I stand. If I can see the yardstick, if I can see the measure, I will get better. Dr. Richard Dutton talks about how every care team member uses data to know where they stand in providing quality care and how technology helps USAP constantly improve. Our exclusive focus on anesthesia and unwavering commitment to quality provide an unmatched depth of expertise in anesthesia care. We aren’t trying to do all things — we are committed to doing one thing, with excellence. USAP only partners with leading anesthesia groups focused on quality. 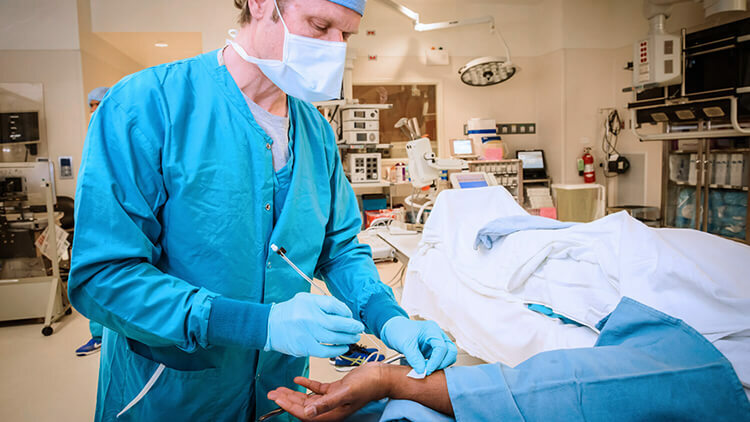 Our clinicians are knowledgeable thought leaders and include some of the world’s foremost experts in anesthesia. They are highly skilled, dedicated professionals. 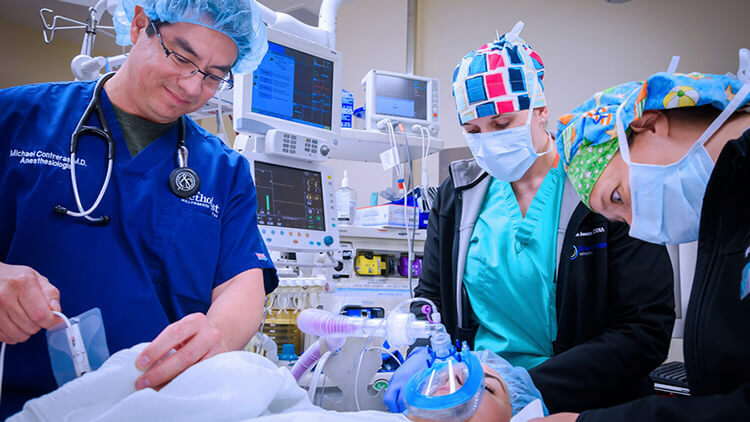 They’re up-to-date on all the latest tools, techniques and approaches for delivering quality anesthesia care, and, follow the outcomes of every case to continuously learn and improve. Each physician group has its own, doctors-only, clinical governance board which is responsible for all clinical decision-making for their practice. Ongoing communication between the boards and our national and local quality committees keeps all of our clinicians well-informed of best practices, ensuring continuous improvement and clinical excellence in all the communities we serve. Our Clinical Quality Committee guides the clinical quality of our entire organization to ensure all of our patients get the best care. Members discuss rare cases, complications, research, data, lessons learned and best practices and then recommend these to their clinical governance boards and local clinical quality committees. Collectively, these boards and committees drive continuous quality improvement throughout USAP to ensure we maintain our superior level of care. Our physicians share best practices through our clinical quality committees and national network of providers. 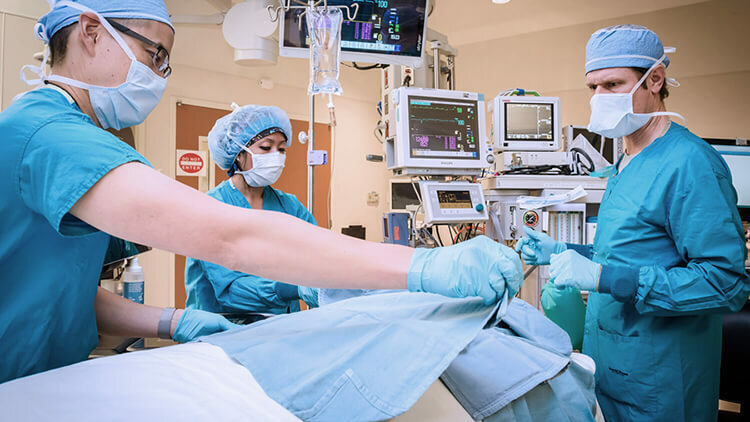 Sharing drives improvements in all areas of our clinical practice and often leads to the implementation of new patient-centered systems at the facilities where our providers practice, increasing patient safety, outcomes and satisfaction. 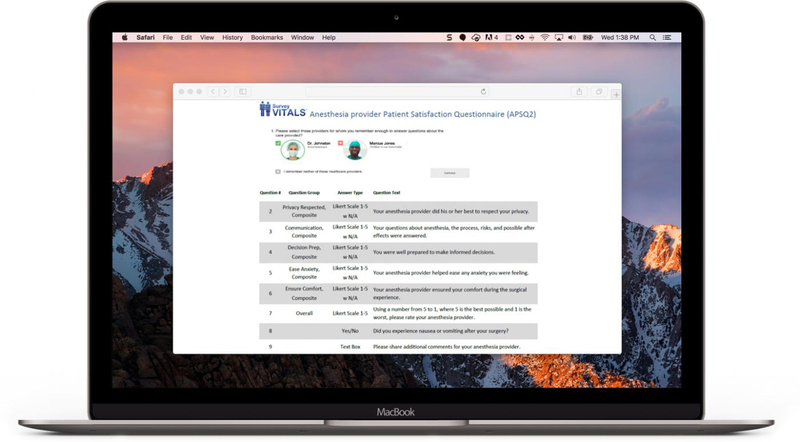 We invest in continually understanding our outcomes by using Survey Vitals® to solicit patient satisfaction data from our patients. We then share the information, down to the individual provider level, with our doctors, nurses, facilities and surgeons to give complete visibility and help make improvements. Our CQI program is a data-driven, clinical care and risk management program with proven, positive results.. We monitor 50 different clinical quality indicators, digitally collecting the data from every case, every day, at every facility we serve. Our best-in-class IT tools and advanced analytics allow us to generate accurate quality data and yield greater insight into quality patient care. By measuring our own quality metrics, we gain a visual of our impact on patient satisfaction, outcomes, OR efficiencies and more. We use this data to improve our care and enhance the patient experience. yielding greater insight into patient care. And, we can share this data through our quality dashboards with hospitals, ASCs, health systems, payers and other partners. We capture clinical outcome data for every case, using MD Cloud or Medaxion apps, via mobile phones and tablets. We then share the data, down to the individual provider level, so everyone knows exactly where they stand. We exceed national benchmarks in many of the most important quality measures, such as mortality, hospital length of stay and patient satisfaction. All USAP practice groups are above the national mean for anesthesia patient satisfaction scores. The more data we collect and analyze, the better able we are to continually improve and deliver the best patient care, patient outcomes, reduce hospital lengths of stay, reduce disruptions caused by day-of-surgery cancellations and schedule changes, drive down costs and enhance the patient experience. Bundle Compliance vs. LOS: We work with surgical and facility partners to improve operational efficiency. 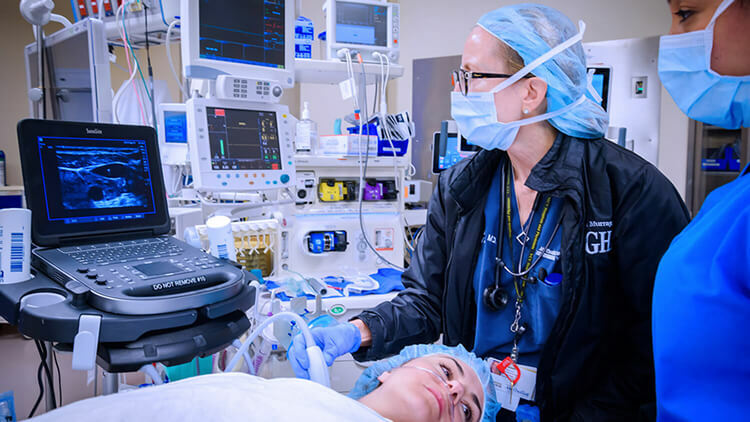 For example, there are more than four dozen different "Enhanced Recovery" or "Perioperative Surgical Home" pathways within different institutions. 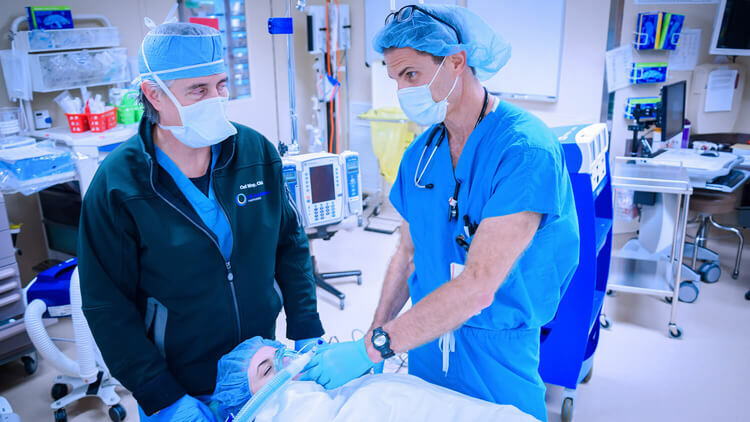 We lead or participate in ERAS or PSH projects at multiple sites, typically focused on colorectal surgery, total joint replacement, spine surgery, or major urologic procedures. We have documented reductions in length of stay and total cost of care associated with these efforts. These projects have produced documented reductions in cost-per-case and length of stay for our hospital partners. Immediate Perioperative Mortality Rate: USAP is the largest and leading participant in the National Anesthesia Clinical Outcomes Registry. 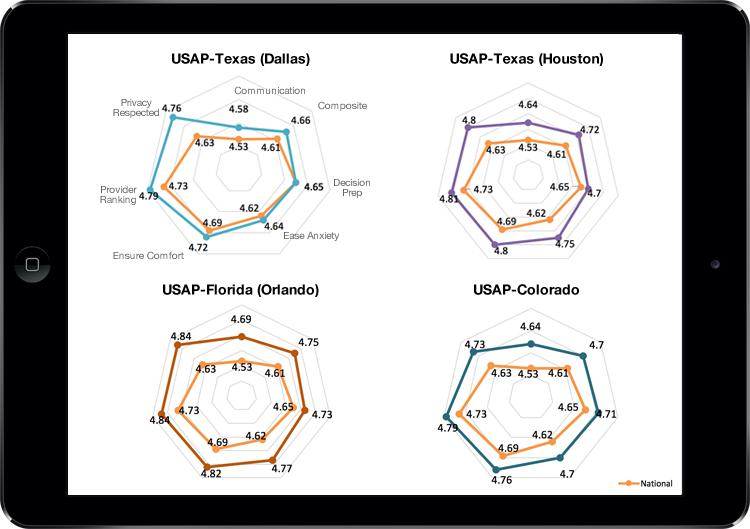 Our outcomes speak for themselves — we use NACOR benchmarks to compare ourselves to other practices. Direct path to clinical leadership: Every provider has direct access to the Chief Quality Officer to request data, analysis or advice. Dr. Dutton is the, former Chief Quality Officer of the American Society of Anesthesiologists and founder of the National Anesthesia Clinical Outcomes Registry. He represents our specialty in numerous influential ways, including with CMS, AHRQ and the National Quality Forum. We solicit patient satisfaction information for every case. If we have an unsatisfied patient we individually follow-up with them and ask for details. Patients complete surveys about their experience. If they identify that they were unsatisfied, we always follow up to ensure that their problem is resolved. Using the data gathered from patients we actively promote improvements in safety and quality. Additionally, in our monthly digest to all providers, we have had a series of articles focused on clinical care, covering topics such as Exparel, Sugammadex, pediatric anesthetic effects on the brain, corneal abrasion prevention and dural puncture headache prophylaxis. Dr. Scott Holiday and I are on the Texas Medical Board, appointed by the Governor. I've been fortunate to be appointed as President of the Board. From the standpoint of a physician that is practicing actively, I can communicate with my partners what are the best practices and what's going out there that we may not necessarily see. Dr. Sherif Zaafran talks about his and Dr. Scott Holliday's involvement with the Texas Medical Board, and how as practicing physicians, they advocate for quality patient care. USAP was created with, first and foremost, a commitment to preserving and advancing high-quality, cost-effective, perioperative medical care. Learn more about Continuous Quality Improvement at USAP.